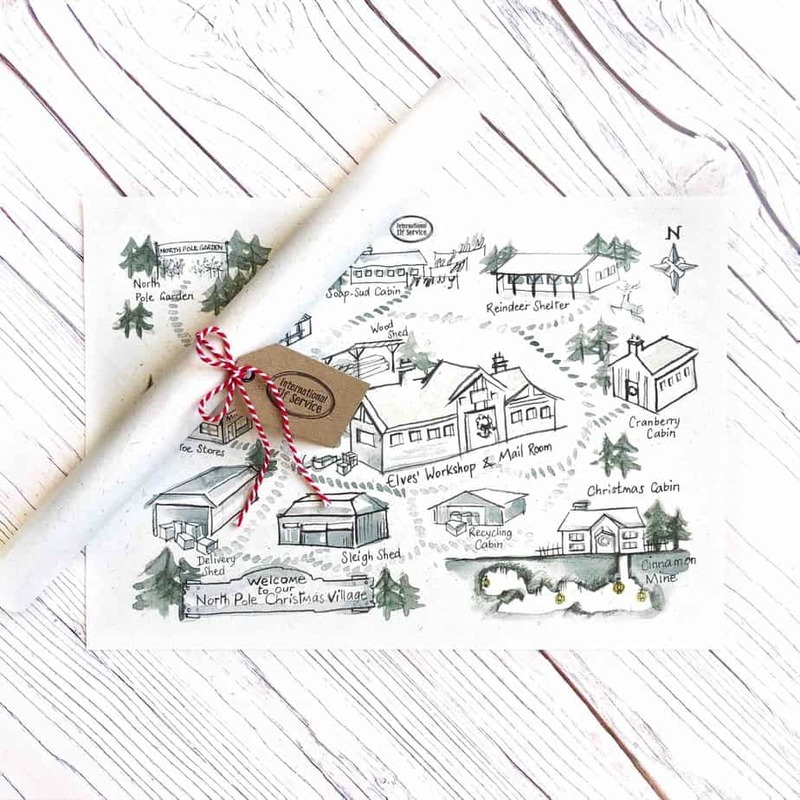 *One map is included in all Christmas Letter Bundles. A handcrafted map of the North Pole Village, where Elfie and friends help Father Christmas get ready for the Big Delivery on Christmas Eve. On exquisite 100% recycled paper. 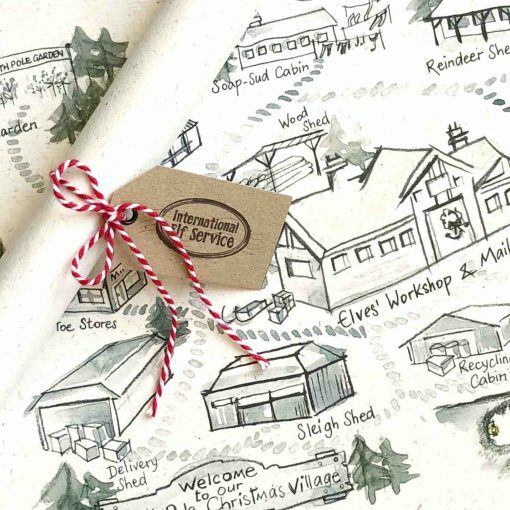 The illustrations on this map were loving hand-drawn ‘by Elfie, one of Father Christmas’ Elves up in the North Pole’. 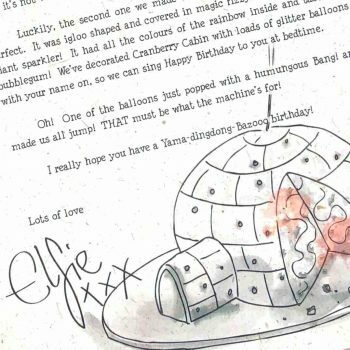 One map is already included with each of the Christmas Letter bundles, but if you’d like any extras … here it is! Make the most of your magical Christmas tradition! 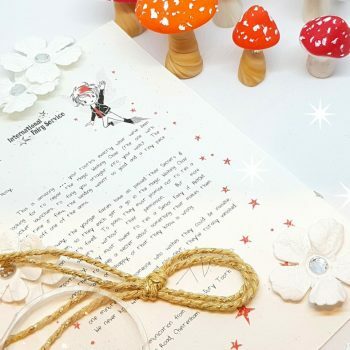 Children can track where the Elves are going as their adventures unfold. 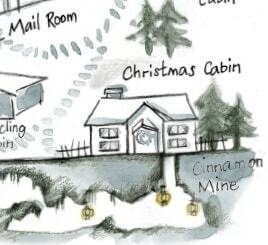 How do you get down into the Cinnamon Mine underneath Christmas Cabin?? Where is Mistletoe Stores? Can you find the Reindeer Shelter? Children can find Cranberry Cabin, where the Elves sleep, see where they go to do their laundry. They can ‘visit’ Pine Needle Lodge where all the mountains of festive sewing are done, and have a sneaky peak into the entrance to the North Pole Garden! 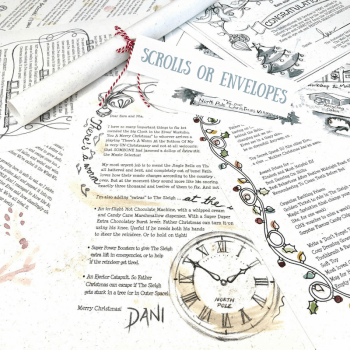 It wouldn’t be the Christmas without the Elves’ Workshop and the Mail Room. What happens in Mistletoe Stores and the Delivery Shed, and how big is the Sleigh Shed? This map is not personalised and is printed on luxury recycled paper. Choose simple, or with soft cotton Candy Cane Twine and an official International Elf Service Gift Tag.